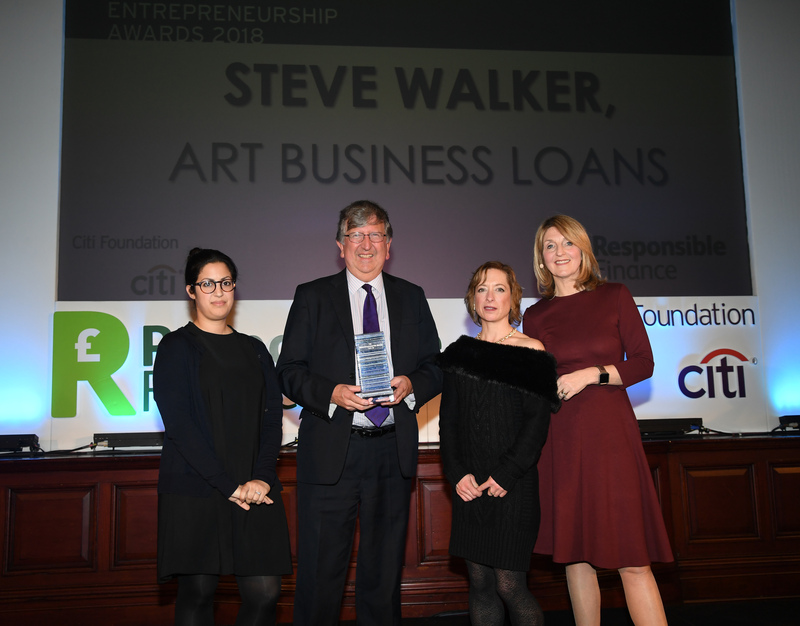 Dr Steve Walker, co-founder of ART Business Loans (ART) and Chief Executive since before its launch in 1997, has been named Responsible Finance Leader of the Year at the 2018 Citi Microentrepreneurship Awards. The UK-wide awards, delivered in partnership by the trade association Responsible Finance and the Citi Foundation, celebrate the valuable work of responsible finance providers from around the UK, covering areas from growth and sustainability to societal impact and resilience as well as leadership. Steve was recognised for his contribution to the growth of ART and the Responsible Finance sector, his passionate championing of access to finance for enterprise, and the impact that has had on the economy of the West Midlands over more than 20 years. Well known and respected throughout the business finance sector, Steve worked at Barclays for 29 years before helping to establish ART. Since then he has served on a number of committees and task forces informing local, regional and national government policy on access to business finance. He was made a Doctor of the University of Birmingham in 2007 in recognition of his work as a champion of enterprise in the City. Since launch, ART has lent over £24m to more than 1,000 businesses, enabling them to create or protect in excess of 7,000 jobs. The seven-strong ART Business Loans team focuses its cultural ethos around targeting those who have been traditionally deprived of opportunities, including under 25s, over 45s, Black, Asian and Minority Ethnic (BAME) groups, women and disabled individuals. At least 75% of the businesses that ART lends to fall into these categories. Steve received the award at the Citi Microentrepreneurship Awards 2018 Dinner, held at Glasgow’s City Chambers on 20th March, which was attended by senior staff from the finance, banking, microenterprise and responsible finance industries. The event also highlighted the boost to business and entrepreneurial endeavour that the availability of loans from the responsible finance sector supports.